There is only you, the bike and its grumpy engine noise. Everyone has their trip of a lifetime, and Leh Ladakh road trip tops in the list of most of the people. No doubt, why it is rated as one of the Best road trip in the world. Even after being visited by most of the tourists and being much commercialized in recent years, it still holds its breathtaking beauty. But you cannot hit the roads directly as it requires a lot of planning beforehand. We have tried to cover as many things as possible for a bike trip to Leh. 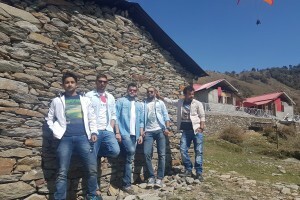 Manali – Rohtang La – Khoksar – Sissu – Tandi – Keylong – Jispa – Darcha – Patseo – ZingZingBar – Baralacha La – Bharatpur – Sarchu – Nakee La – Lachung La – Pang – Debring – Taglang La – Rumptse – Gya – Upshi – Karu – Stakna – Thicksey – Shey – Leh. 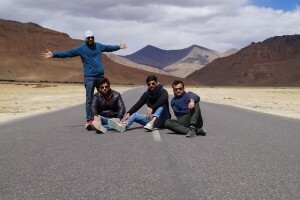 Leh – Khardung La Pass – Khardung Village – Khalsar – Diskit – Khalsar – Agham- Tangyar – Wari La/Shyok village – Pangong Tso. Leh – Spituk – Nimu – Saspl – Khaltse – Lamayuru – Fotu La – Namika La – Mulbek – Kargil – Kaksar – Kharbu – Thasgam – Dras – Gumri – Zoji La – Sonmarg – Srinagar. 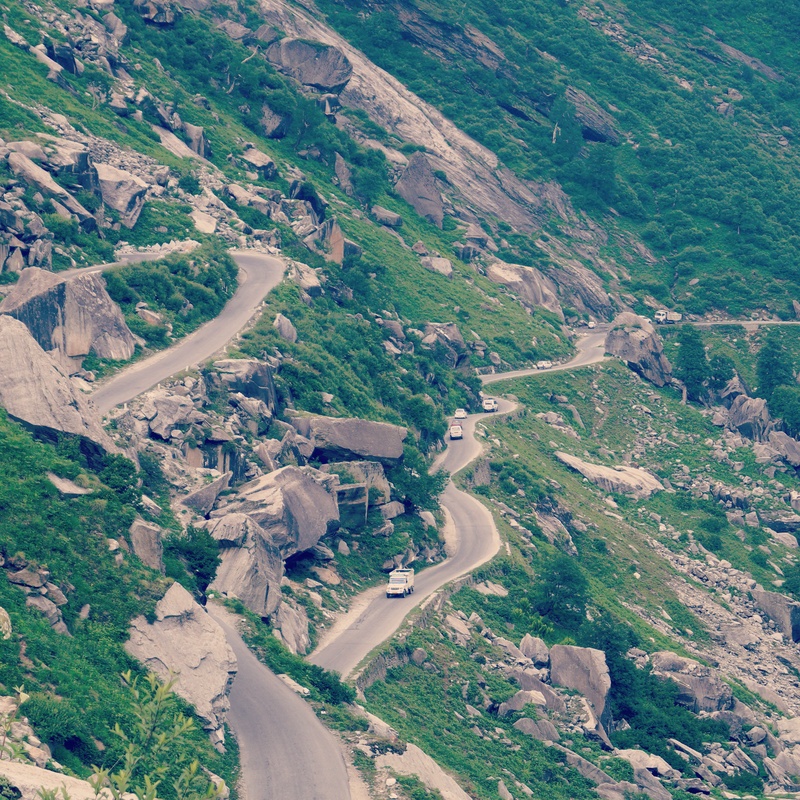 Rohtang la (3978 m) -Leave from Manali as early as possible in the morning to avoid traffic. You pass by narrow passages and huge snow walls on both the side. This place is heavily flooded with tourist and vehicles. Traffic is bound to happen due to a narrow passage. Rohtang pass is closed on Tuesdays for maintenance. Tandi (2573 m) – At Tandi, you will find the only petrol pump on Manali – Leh Highway after Manali. The next petrol pump is about 365 Kms away towards Leh from Tandi. Hence, it is extremely important that you do not miss this petrol pump to top up the fuel. Keylong (3080 m) / Jispa (3320 m) – Most people while travelling on Manali – Leh Highway halts for a night stop at Keylong or Jispa. 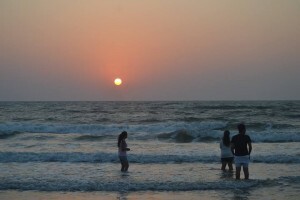 There are various options for accommodation available at both the places. There are phone and power connections which can be utilized to call at home, charge mobile or camera batteries. Medical facilities are also available at the local hospital and there is also one SBI ATM at Keylong town. Darcha (3360 m) – While on Manali – Leh Highway, you need to stop at Darcha Police checkpoint. You will have to register your names with vehicle number in the passerby records. Beyond Darcha, the vegetation will start to reduce and the mountains will start to change their colors into dark brown water color. This means difficulty in pumping the oxygen and increasing altitude will make it even tougher. 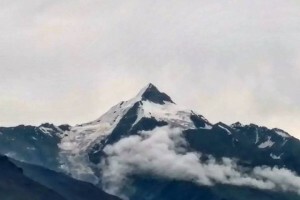 Patseo (3811 m) – After reaching Patseo, the road conditions get worst for the next 40 – 45 kms until you pass Baralacha La. 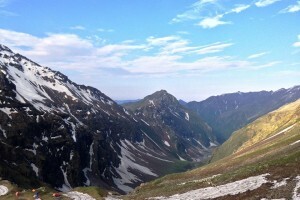 Zingzing Bar (4270 m) - Just after Zingzing bar, there is a nalla (water crossing) created by the melting snow of Baralacha range. So, do cross this nalla or water crossing early in the morning because in the late noon it becomes barely impossible to cross. In such a case, you will have to stay overnight before the crossing on the either side. Sarchu (4290 m) – At Sarchu, there is a second police checkpoint where you need to register your name again on this epic journey. 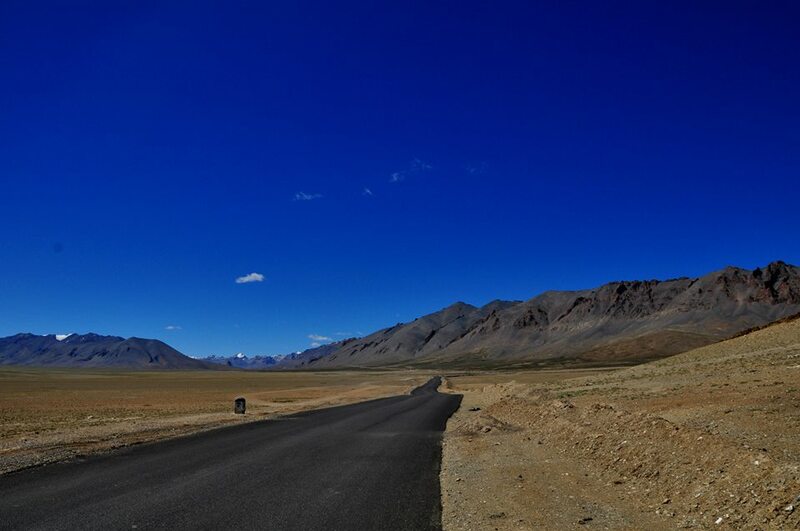 Sarchu is almost a middle point of the journey on Manali – Leh Highway. Sarchu is at high altitude and many people staying overnight here suffer from mountain sickness. 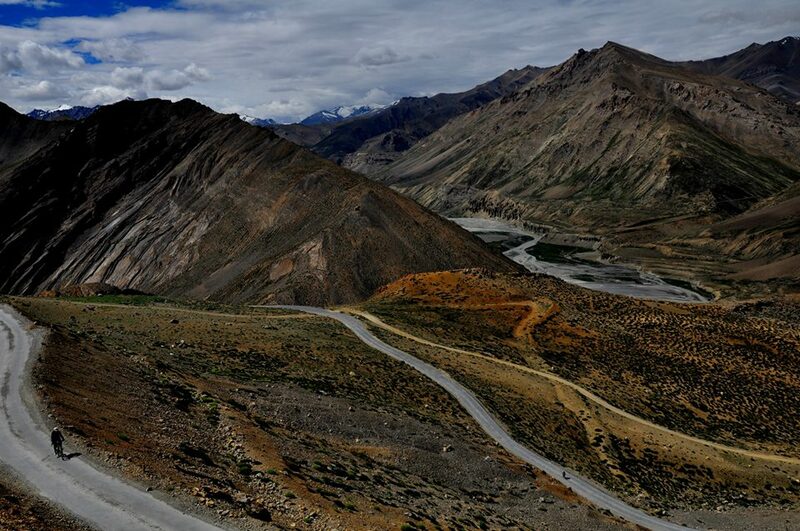 Gata Loops (4190 m) – A 7 km long road consisting 21 hair pin bends elevate you from an altitude of 4190 Mtrs to 4630 Mtrs. Nakee La (4740 m) / Lachulung La (5079 m) – These 2 passes are among the 5 on the Manali Leh Highway. There is no soul, food, accommodation or fuel or even trees. 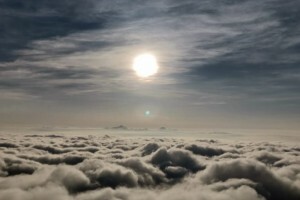 You will reach above an altitude of 5000 Mtrs for the first time on your journey. Get ready to start feeling some breathlessness from here. Pang (4600 m) – Here you will start noticing unique looking soil formations on the mountains and special colors of Ladakh will become more prominent just around Pang and onwards. Moore Plains (4730 m) – Moore plains are surprisingly, flat bedded plains amidst the highest of hills in the country. 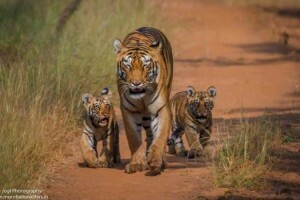 They run over a length of about 30-35 KMs. Try not to speed your vehicle here as it damages the ecology of the place and disturbs the wildlife. 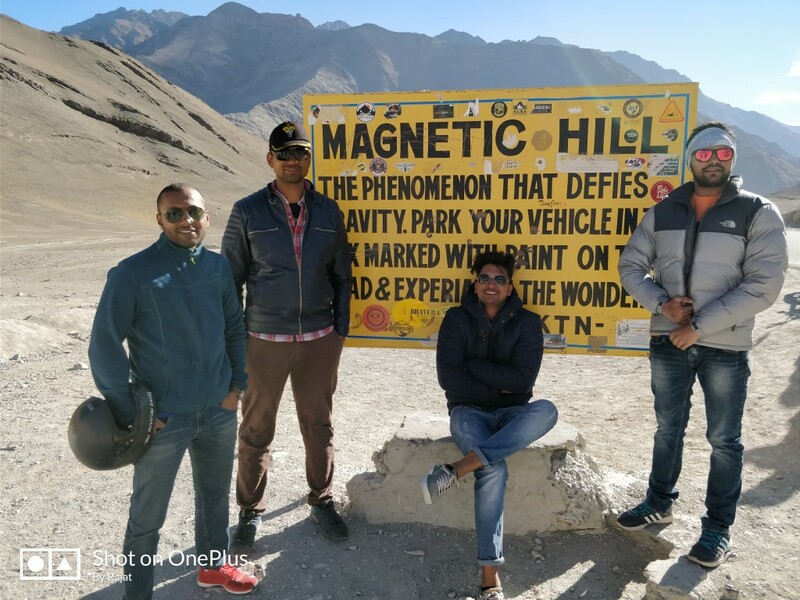 Leh (3500m) – It is better that you give some days to local Leh sightseeing and feel the culture, people, traditions and magical aura of Leh – Ladakh. Once in Leh, take a day’s rest and explore the nearby places. It is important to acclimatize your body. When you are in Leh, Nubra valley & Pangong Lake is a must. Especially if it is your first time! You can reach in about 5 – 6 Hrs depending upon the number of breaks you take in between. 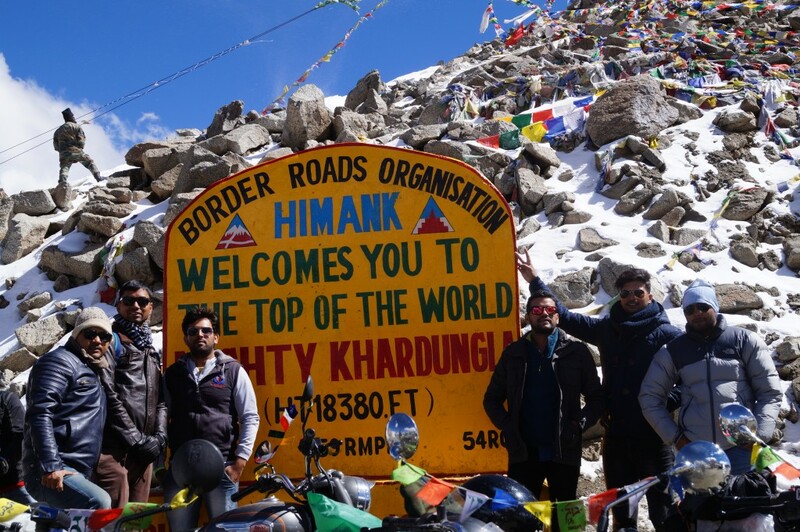 On your way you will encounter the world’s highest Motorable pass, Khardung La. Ensure you do not stay more than 15 minutes at Khardung La as you will start to get hit with AMS. Take a halt for the night at Diskit or Hunder. Then, you can plan to cover Sumur & Panamik while you are returning from Nubra Valley. Do not forget to refill petrol/diesel at the Leh petrol pump. 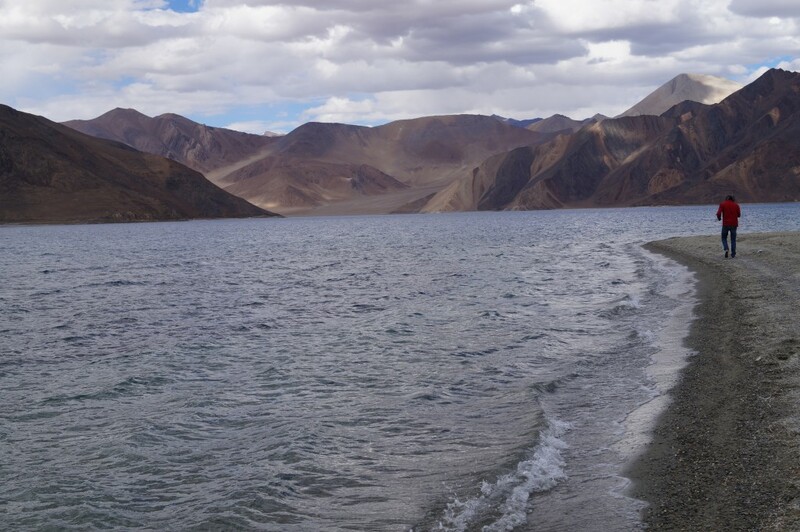 There is also a possibility to go directly to Pangong lake instead of going back to Leh and then to Pangong. Both the routes are remote. The roads are long and rough, hence require early departure from Nubra. Whichever route you decide to take, you need to mention it on your permit. Do not attempt these routes in early season as they are not in safe condition. 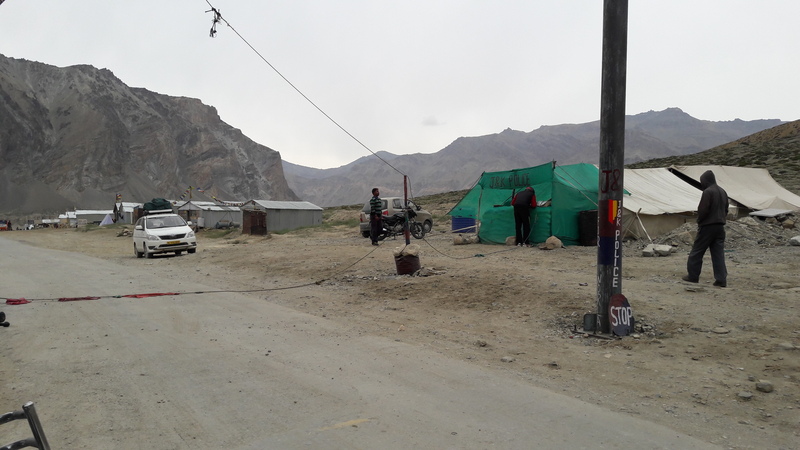 You also need to carry spare fuel from Leh to cover about 425 – 475 Kms because many a times the petrol/diesel is not available at Diskit, Nubra Valley petrol pump. The route from Nubra Valley to Pangong via Shyok Village is much shorter than the Wari La route. But, again there are some nasty landslide prone stretches on this route. PS – Only postpaid numbers of other states work in Jammu & Kashmir (unless you buy a prepaid from J&K which requires a lot of formalities). And after entering Ladakh, only BSNL and Airtel postpaid will work. In remote areas like Pangong only BSNL has coverage. 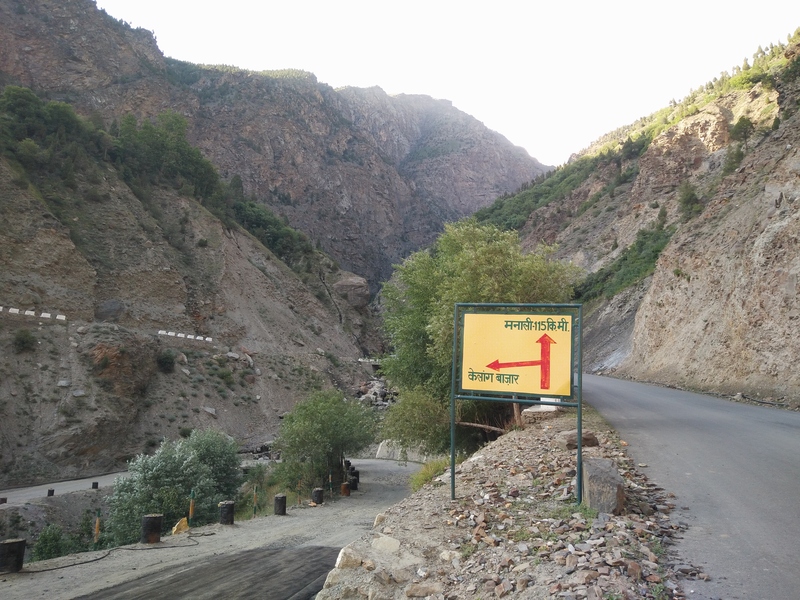 Leh – Srinagar Highway has its own little sets of challenges. 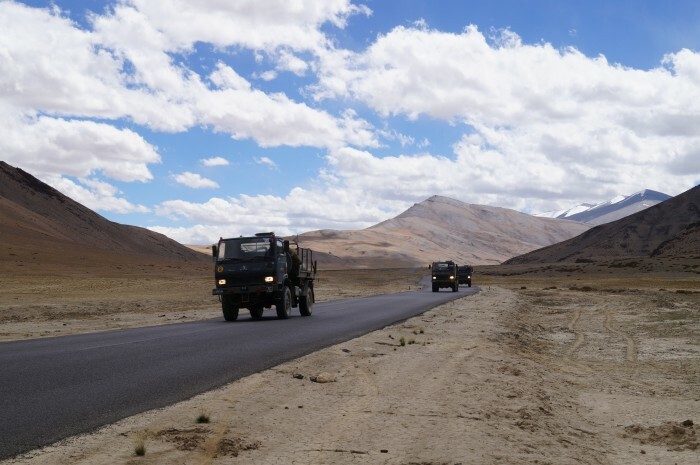 Throughout the season, you need to let pass large convoys of army trucks through Leh – Srinagar road majorly. 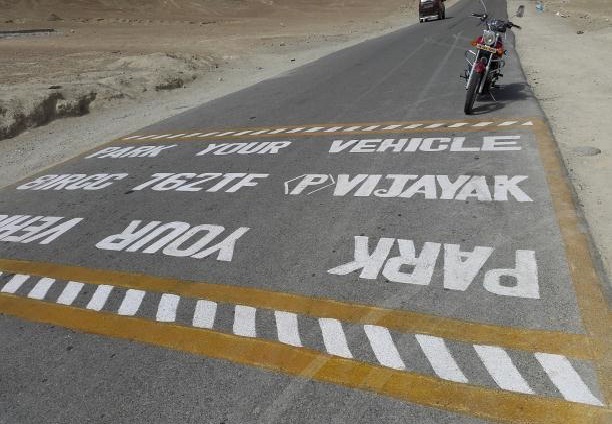 This may cause delay of a few hours every now and then in your entire journey on Leh – Srinagar highway. One should always avoid Srinagar – Leh Highway during days alongside Independence Day in India i.e. 15th August which is when the bandhs and strikes gets more active. Last but not the least, Try to avoid going in Amarnath Yatra season as there is heavy traffic and rush from Jammu – Srinagar – Kargil parts of the highway. Nimmu & Khalse – At Nimmu village you will witness the grand confluence of the River Indus and Zanskar. Its striking view will leave you mesmerized. The road then follows the Indus river until you reach Khalse. 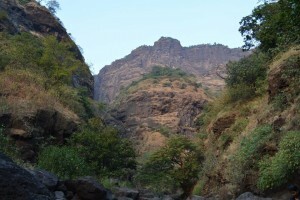 Namika La to Fotu La - After khalse next, you ascend to almost 4000ft in 32 kms stretch. After this you will start feeling the insignificance of Life. All you see is barren mountains everywhere. 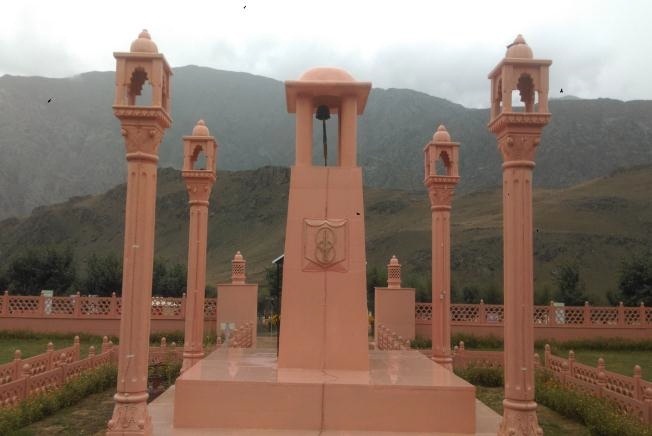 Kargil – After descending from Nakim La you will reach Kargil. Kargil is a transit town, where most people travelling from Srinagar to Leh halt at night. Drass - For being the second coldest inhabited place in the world, after Siberia. This quaint little village had experienced heavy shelling by the Pakistani army during the Kargil War, until India recaptured the surrounding peaks and Kargil. Gumri Checkpost – This must be one of the most uninhabited areas to station a checkpost monitoring vehicles all through the year. 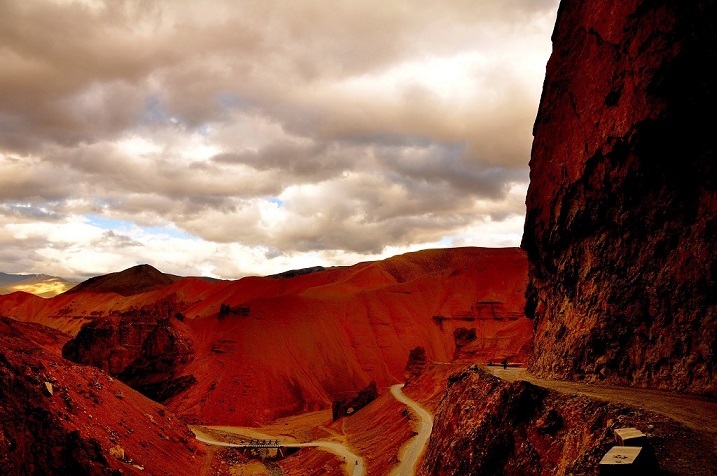 Zoji la – The road worsens once you enter Zozi La stretch. The road is muddy, little irritating and non-existent at its best. Descending towards Zoji La, the landscape changed drastically. The arid landscape gives way to the green sindh valley. 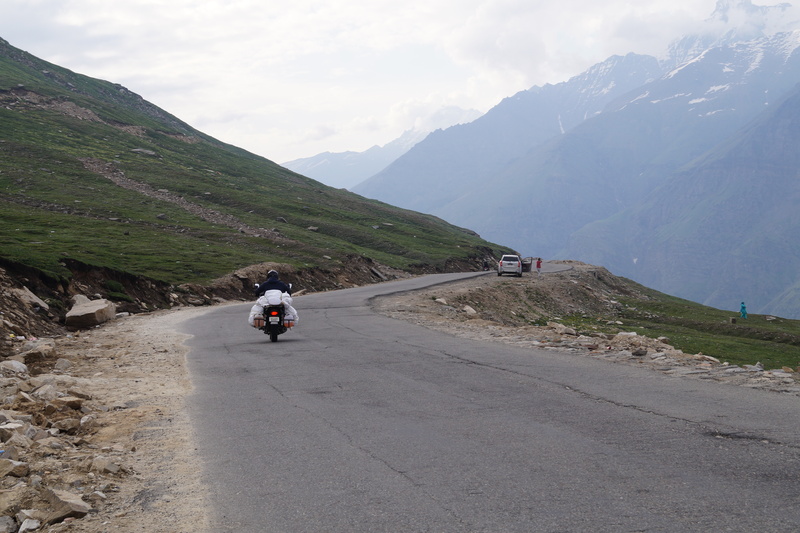 June to September is the time window to travel on Manali – Leh – Srinagar Highway. In the early stages i.e. June, one can find huge stacks of snow en-route. Also, the road conditions may be a challenge to drive. While in the later stages i.e. July and August, the conditions of the roads are almost perfect in shape with all the maintenance work almost completed on these roads by BRO. These are the best months to travel. It is possible to go in September, provided it will be cold and lesser accommodation options on the way. 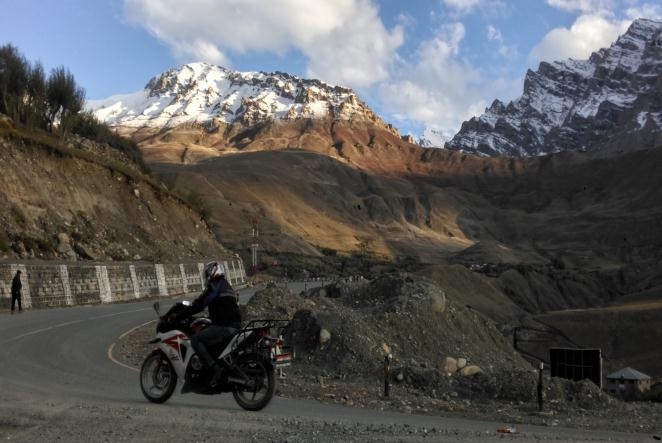 Out of State Vehicles (only 4 wheelers) need a permit to travel from Manali to Rohtang Pass, which is issued by the Office of Sub-Divisional Magistrate, Manali. Carry a basic tool kit, screw driver set, small hammer, puncture repair kit, empty bottles to carry extra petrol or diesel , funnel, towing rope, spare tube (must for bikes), fevi quick (2-3 sachets), jump start cables/wires, M-seal to prevent leakage etc. Also, do not forget to get your vehicle (car/bike) serviced about 2-3 weeks before the start of the Ladakh journey. 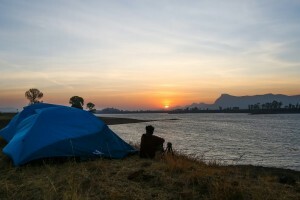 At various places you can/ will have to stay at Campsites, so carrying your own tents, sleeping bags etc. would be a good idea. Packed food and water too would be needed in such places. Carry a First Aid box with you. Consult your doctor for what all things to carry. Avoid smoking, tobacco, alcohol and other depressant drugs. Carry small, portable Oxygen cylinders (5-6) which last for a few minutes. These are easily available at known chemists in Metro cities. Oxygen cylinder costs approximately Rs 400. Carry beforehand as you might not find them in Manali due to their being out of stock. Basic Travel Kit – Itinerary Printout and Travel Map Print Out (at least 2), Portable charger for your mobile, Pen and a small Diary, Bag locks, Backpack or Carry bag, Extra spectacles with cover, TORCHLIGHT, Swiss Knife, Hand Sanitizer (must), Sunglasses (Must), Small water bottle, Match Boxes or Flint or Cigarette Lighter, Couple of candles, Plastic Zip Lock Bags, safety pins, Novels to read. Toiletries – Tooth Brush, Tooth Paste, Toilet Soap, Shampoo Pouches according to the schedule or a small shampoo bottle, Tissue Papers, Face wash if required but common for girls, Deodorants, Moisturizing Cream, Lip Guard, Comb, Small Mirror. Clothing Kit – Clothes as per the schedule, Towels, Socks, Handkerchiefs, Slippers, At least one light jacket, Rain / Snow Protection Gear like Rain Coat / Rain Suit, Hats / Caps. 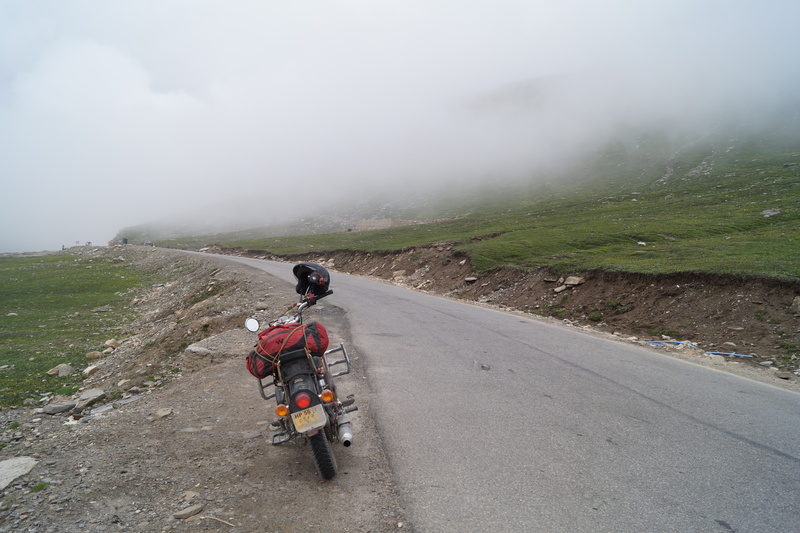 Note – We have covered the route from Manali to Leh to Srinagar. 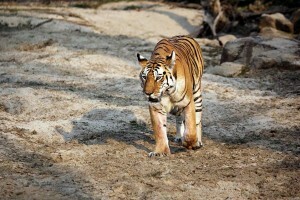 But it is recommended to start the other way around from Srinagar to Leh to Manali. This helps in gaining acclimatization gradually. This entry was posted in Adventure Trips, Backpack Tours, Bike Trips, Camping, Paragliding, Rafting, Road Trip, Travel, Trekking and tagged Adventure Trips, Baralacha La, bike rental, Bike Rental Manali, Bike Trips, Camping, Darcha, Drass, Jispa, Kargil, Karu, Keylong, Khardung La, Khoksar, Lachung La, ladakh bike trip, Ladakh Leisure Tour, Ladakh Road Trip, Leh, Leh Ladakh Bike Trip, Leh Ladakh Bike Trip Cost, Leh Ladakh Road Trip, Leh Ladakh Tour Packages Cost, Manali, Nubra Valley, Pangong Lake, Pangong Tso, Paragliding, Rafting, Rohtang La, Sarchu, Sissu, Srinagar, Taglang La, Tandi, travel, Trekking.